Bridging connections with our country of origin, Palestine, through education. Join The Canadian Palestinian Professional Foundation for a better future! Provides high quality local and international education scholarships to Palestinian students worldwide. 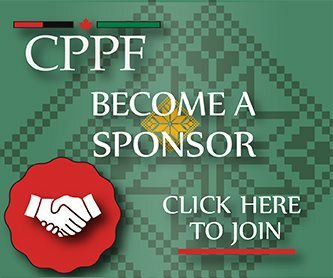 The Canadian Palestinian Professional Foundation (CPPF) is a non profit, non political, social and humanitarian organization for Canadian Palestinians or individuals of Palestinian origin residing legally in Canada. 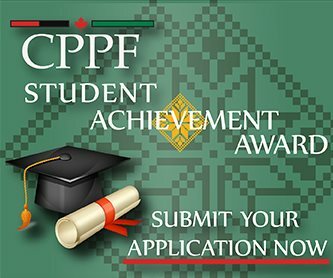 The CPPF Outstanding Student Achievement Award is an honor award that given for top Canadian Palestinian students. The CPPF Outstanding Student Achievement Award is an honor award that given for top Canadian Palestinian students, resident in Canada. Nominations/Applications are open annually in August on the grounds of their outstanding-nonacademic effort to serve the community, and academic achievements in the field of their study, using the award form. The Canadian Palestinian Professional Foundation is looking for sponsors.